Boyer Fence and Deck has grown to be a reputable name in the fencing business, serving the Ontario homeowner for over 90 years. With a commitment to quality materials and workmanship, BDF takes personal pride in the construction of their fence designs. Boyer Fence and Deck comes from a long chain of family history and only plans to continue the growth of the family business. 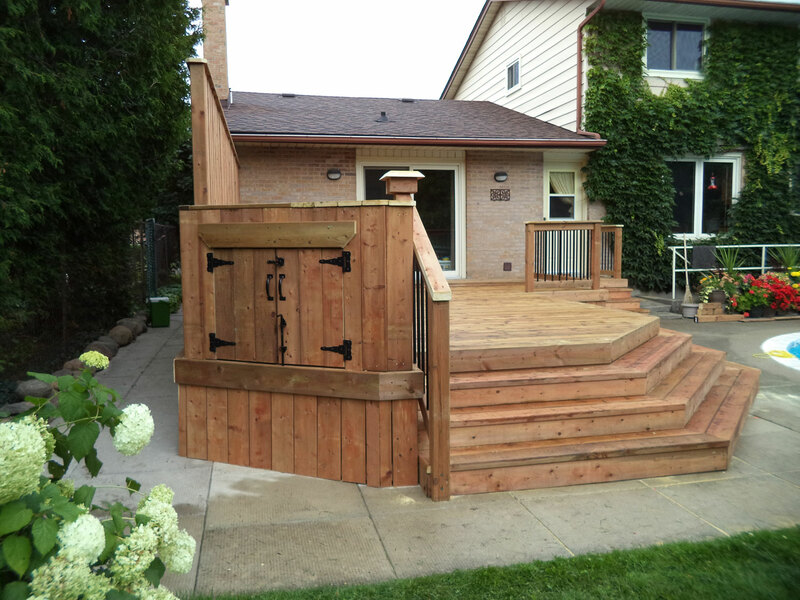 Boyer fence and deck has been a name well known in the Kitchener-Waterloo region, with roots dating back to the early 1900’s. Boyer Lumber was founded by Arthur Samuel Boyer in 1923 in his home town, Waterloo Ontario. This was the creation of a top-quality name in the supplier of lumber, the origin that gave the Boyer family their strong reputation and Premier Fencing name meaning. Arthur’s son John Boyer began working at the family company after high school. While the names and people changed, the reputation for quality supply of materials and installation of fence and decks remained at Boyer Lumber. With the passing of Arthur, John reached out to his brother, Robert Boyer to join the company. The family pairing was a force to be reckoned with, increasing the Boyer Fence name and reputation. Making the executive decision to put a heavier focus on installation, Robert rebrands the company and launches R.G. Boyer in 1964. The new Boyer company now did both fence and deck installation as well as renovations inside and out. Robert’s sons continue to grow the Boyer Fence & Deck business by joining their father and working in between school and over the summers. Hard work continues to pay off and Robert’s son Richard Boyer takes over the Boyer Fence & Deck company. Richard, in turn, continues the family legacy and continues to expand the company. Roberts son David picked up the leadership role in the early 1990s, continuing as president of BDF to this day. Daniel is the fourth generation of Boyers to build fences and work in the lumber business. Joining his father, he began working for the company at the age of 13 and made his way up the Boyer Fence & Deck family business. With his heart invested in the lumber industry, Daniel jumped into an entrepreneurship roll at the age of 22, launching his own company, Premier Fencing & Backyard Solutions which proudly carries forward both the Boyer Fence and Deck name & brand. The success of his business has quickly grown, with a workforce of dedicated employees in Waterloo, and a new supply chain of cutting edge and creative building materials. With plans to continue expansion of the company into the manufacturing and installation markets Premier Fencing and Backyard Solutions, is developing at full force and the Boyer Premier Fence reputation remains. Daniel’s vision is keeping the Boyer Fence and Deck business alive. With his creation of Premier Fencing & Backyard Solutions he is quickly re-establishing the Boyer Premier Fence brand as a force to be reckoned with in the fencing business.